What if there was a way to eliminate negative emotion at the deep rooted core? What if we could diagnose a precise formula for you to unlock the code to emotional freedom? Well the answer is we can do both of these! Thought Field Therapy (TFT) utilises applied kinesiology and the Chinese energy meridian system and acupressure points to uniquely diagnose what you need to release negative emotion and unlock your true potential to experience emotional freedom in all areas of your life! In fact TFT Tapping clears all the underlying negative emotions that are at the root cause of most problems. Feel a sense of relief of being able to be free of the old negative emotional baggage you have been carrying for far too long. 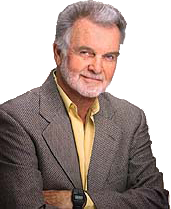 The difference is that unlike most practitioners of tapping techniques such as EFT, I am a diagnostic specialist, who has trained hundreds of therapists from around the world in this therapy, to diagnostically reveal the specific sequence of tapping for the client to eliminate the emotion at it’s root cause. 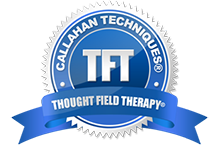 I have also been recommended by the creator of TFT, Dr Roger Callahan and I am one of the few trainers in the world to run accredited training in this discipline. This style of therapy and support is suited to occasional intensive one hour consultations working on specific emotional problems. It only deals with the elimination of the negative emotion at it’s root cause, which in itself is crucial in order to move on but will often require other therapies to support the overall change work. I recommend my flagship “Freedom Formula’ intensive fast track programme that utilises Transformational TFT Coaching to unlock the diagnostic code to your emotional wellbeing and freedom. Furthermore, for those further afield or unable to travel to my clinic in Norwich, TFT consultations can also be done via telephone, Skype or FaceTime utilising TFT Voice Technology. “John's 'Freedom Formula for Change' is both innovative in style and content. John blends humour and straight talking common with the latest psychological approaches in such a way as to create a powerful resource for change. John uniquely goes a step further in his programme by providing an integrated support package, which is available worldwide, using my most accurate discovery of Voice Technology™ to identify individual energy toxins and help people overcome the inevitable emotional baggage that is often in the background of any problem.